Does citizenship facilitate access to employment and higher status jobs? Existing case studies have produced mixed results across mostly single case studies in Europe and North America. 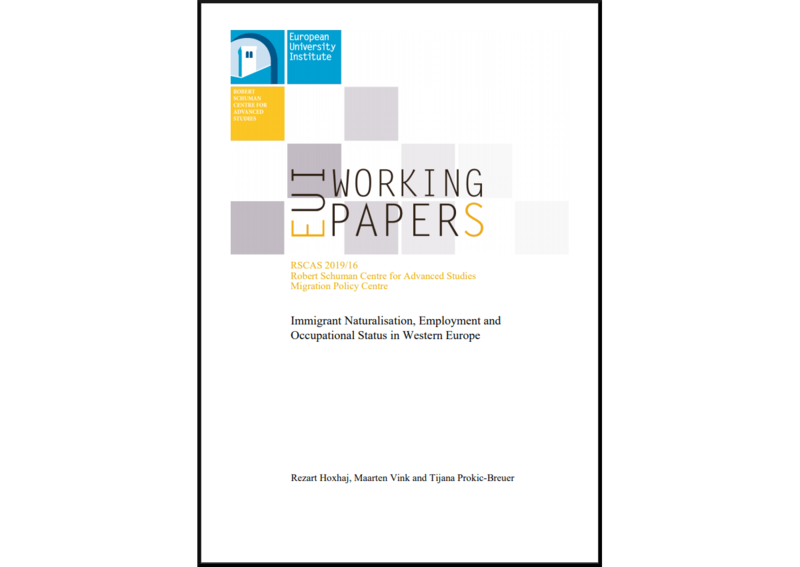 In this RSCAS working paper, Rezart Hoxhaj (Migration Policy Centre), Maarten Vink (Maastricht University) and Tijana Prokic-Breuer (Ministry of Education Culture and Science, The Netherlands) analyse the labour market outcomes of immigrants who have naturalised in 13 West European countries. Their empirical analysis draws on data from the 2014 European Labour Force Survey Ad Hoc Module on immigrants. In order to cope with the selective nature of the naturalisation process, they employ a bivariate probit model that accounts for unobserved characteristics of naturalising immigrants. Their main results show a positive relationship across these destination countries between citizenship and the probability of employment for both immigrant men and women, as well as between citizenship and occupational status for men. Liberalising the access to citizenship does not diminish the positive returns on employment from naturalisation. For immigrant men there is evidence of a trade-off between easier access to citizenship and the returns on occupational status.